Searching for your true north? 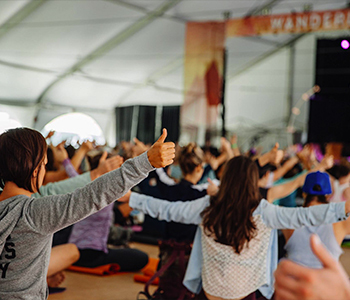 Look no further than this weekend-long retreat with the best of the best: yoga instructors, meditation gurus, amazing musicians, organic chefs, transformational speakers, and limitless outdoor adventure. Wanderlust host Sratton Mountain Resort is just thirty minutes from Manchester. Go for a day, stay for the weekend! 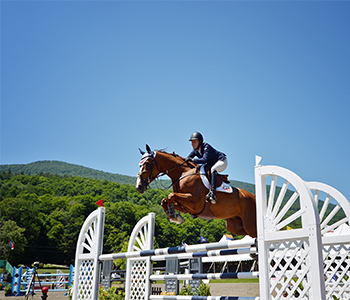 The Vermont Summer Festival horse show returns to the Manchester area for its 26th year. This event welcomes top riders from around North America to compete against our beautiful Green Mountain background. Major competitions occur each Sunday. The public is welcome and encouraged to attend as spectators. It’s August in Manchester, and that means our famous shops are ready to overflow into the streets with the biggest discounts of the season. 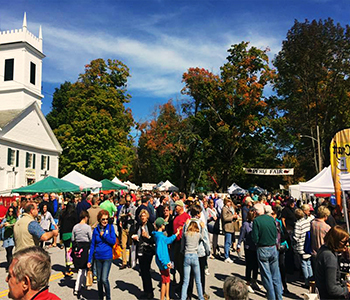 World-class designer outlets and unique, independent retailers pull out all the stops to make these four days extra special here in Vermont’s year-round shopping paradise. 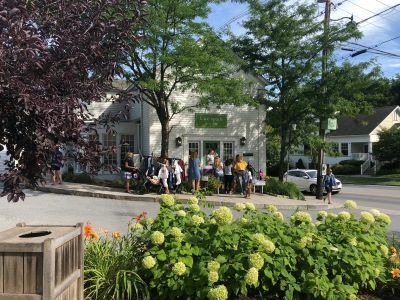 Whether bargain hunting is your favorite pastime or you’re just passing through on the way to a favorite vacation spot, we invite you to come join the festivities on the streets of Manchester and discover summer’s sweetest deals. Riders from across the U.S. and Canada arrive in Manchester and the Mountains for four glorious days of hard riding and competition. Routes cruise through the picturesque countryside, covered bridges, river valleys and historic villages of south and central Vermont. The ride is open to all abilities and spectators are welcome! What happens when you take world-class musicians rooted deeply in traditional American music, plant them in the majestic beauty of Vermont’s Green Mountains, and then invite them to collaborate with each other as they see fit? Pure magic. Right in the heart of historic Peru Village, an old-fashioned country fair. 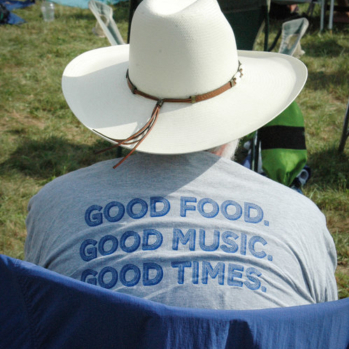 The Saturday-only event is beloved by visitors and local alike. Includes a pig roast, live music, craft vendors, cloggers, antiques and art exhibits, clowns and magicians, pony rides, local food and drink, baked goods. Park at Bromley Mountain and ride the shuttle down the street.